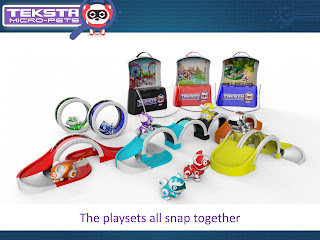 Teksta micro-pets are fantastic little robots which (simply) interact with your children during play. I honestly never thought that T would be so enthusiastic about playing with his pets, but since getting them, he's played with them most days. 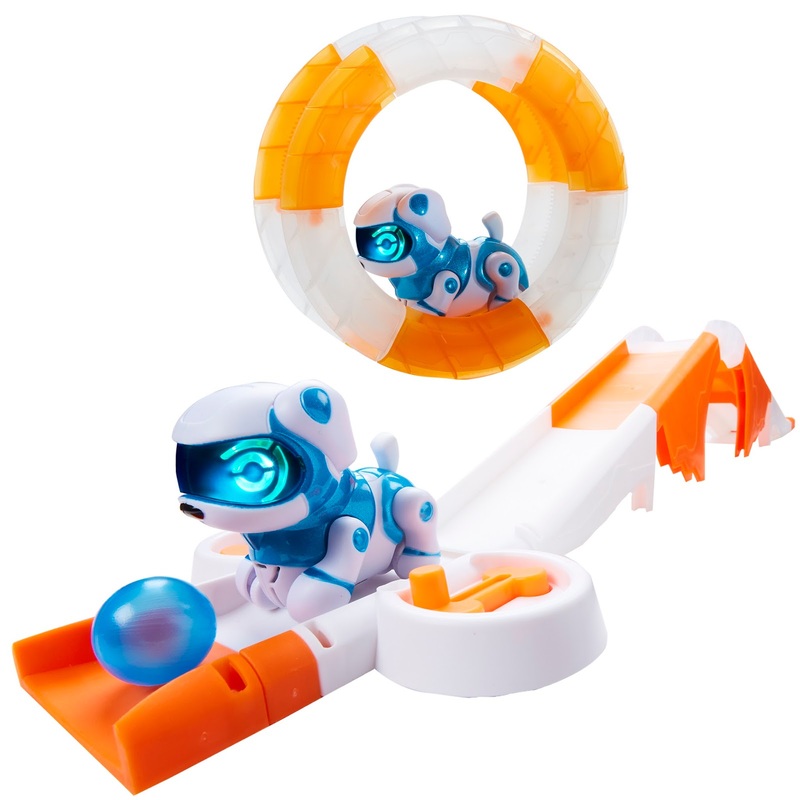 We received the cat and dog micro-pets to play with, there's also a dinosaur and raccoon in the range. 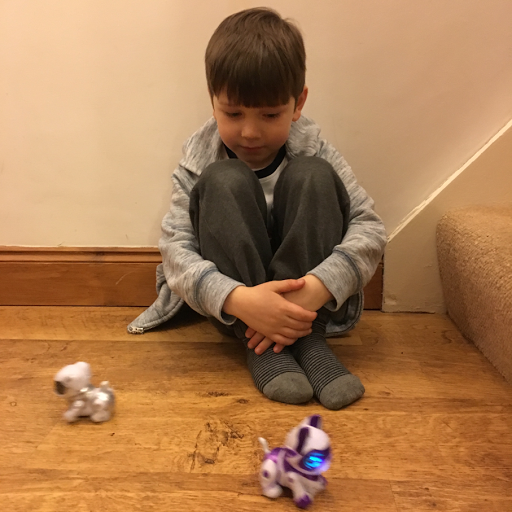 They are large enough to play with but small enough to be portable and great for fitting in a pocket, I know this because T turned up to football practice last week with one in each of his pockets! Micro pets respond to your voice, changing from forwards to back with a clap. If you rub their heads, they make super-cute animal noises. We've had so much fun racing our pets, although you can control when they move, you can't control when they change direction so it makes the race even more fun and unpredictable. 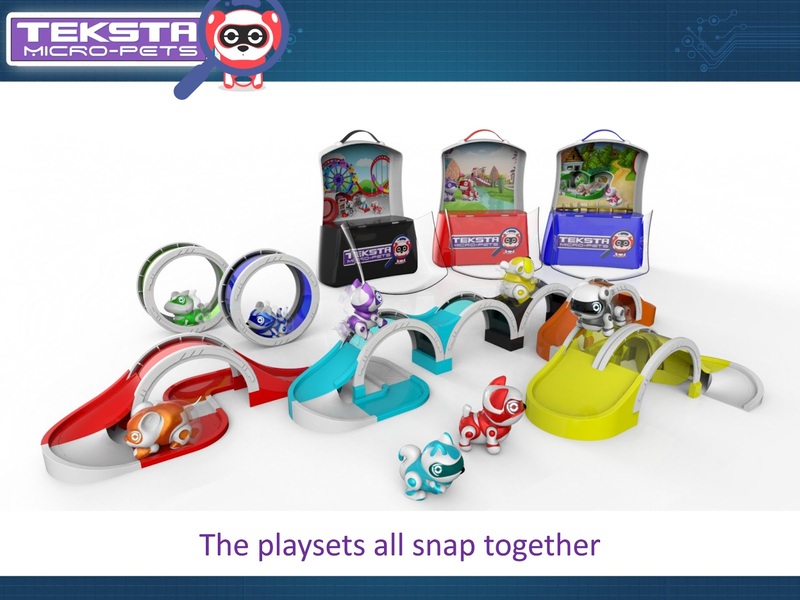 Within the range there are even a few extra play sets that can be used with the pets which do look really good and the bonus is, they all snap together easily so can be used together making even more fun! 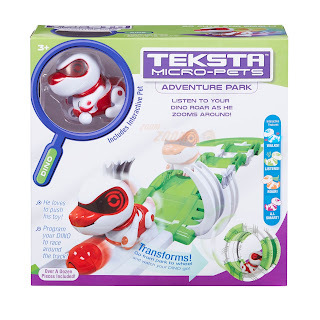 Teksta micro-pets are £9.99 individually and £19.99 for each set, you can purchase them direct from the Teksta Micro-Pets website.